“Tsukiji” Market is the largest market of marine products in the world. Every day fresh marine products from all over Japan are brought here and sold. Its vigorous trading attracts many tourists. There are programs available for tourists to experience the Japanese culture. In this issue we introduce the program to experience making “Sushi” yourself at “Tsukiji” Market. For other popular experience program of Japanese culture, please see the article “2 special cultural experiences in Tsukiji Market”! 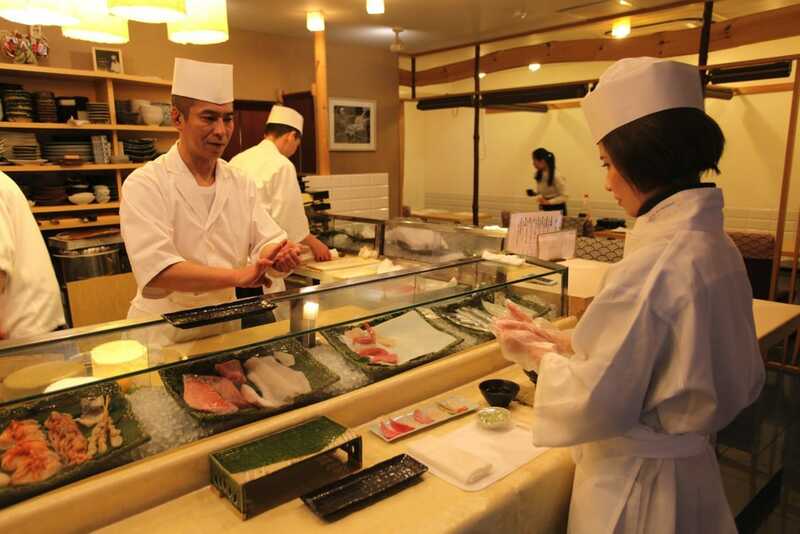 Talking about Japanese “Sushi”, you will imagine that a cook makes “Sushi” for you over the counter. Don’t you want to make it yourself? There is a program for your dream come true. From the programs you can choose what you want to do: making “Sushi” like a chef at the counter, checking fish for “Sushi” at the market and then make Sushi, etc. Why not experience the unique opportunity to make your stay in Japan a memorable one. Unique experience program at “Tama Sushi” is that you not only really make “Sushi” behind the counter but you also wear the uniform of a chef. An experienced “Sushi” cook will teach you how so that you will master the art of making “Sushi”. You cook 8 pairs of “Sushi” and one “Maki” (a roll), and then you get to enjoy them yourself as well. Isn’t it something special? “Tsukiji” Information Center conducts a special program where you can experience a tour around “Tsukiji” Market and making “Sushi” yourself. For making “Sushi” you learn in group basic knowledge about fish, how to make ”Sumeshi” (rice mixed with vinegar) and “Sushi”. It is a reliable program conducted by the public sector. This program is conducted by a company who proved mainly for foreign tourists with sightseeing programs. 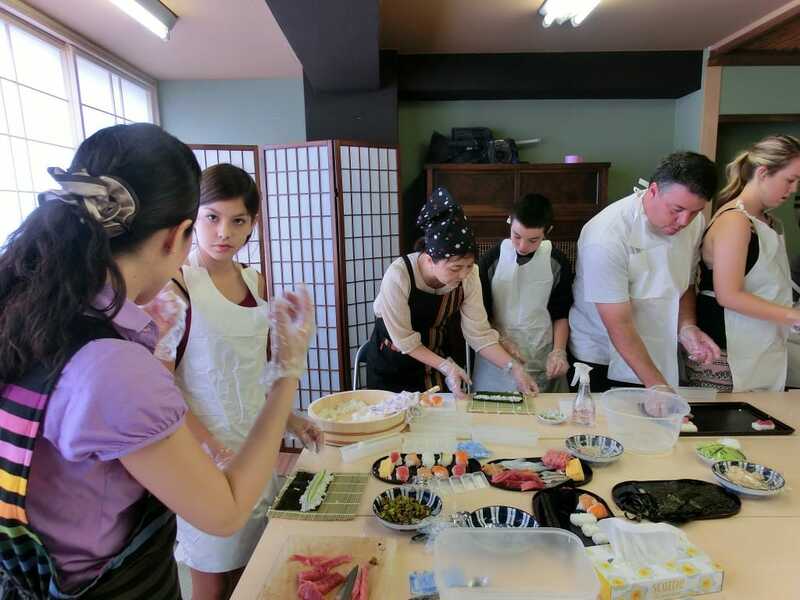 This unique experience of “Sushi” making program is conducted by licensed guides in English, French, Spanish and Chinese. You will be picked up at designated hotels. You can try 3 kinds of “Sushi” yourself. Why not enjoy “Tsukiji” Fish Market?